Apple’s QuickTime is the go-to Mac OS X app for video playback, but there’s more to QuickTime Player than meets the eye. You can rewind and fast-forward movies, increase the audio level beyond the slider limit, and even scrub frame by frame through the movie like you can in Final Cut Pro! Check out these 15 useful and largely hidden keyboard shortcuts for QuickTime Player, they are sure to improve your QuickTime movie viewing experience… and you’ll probably learn something new! For what it’s worth, these tricks should work in all versions of QuickTime. If you notice any changes or differences in modern vs older versions, be sure to let us know in the comments below. Update: Reader Austin W. noted that many of the above QuickTime shortcuts are not working in Mac OS X 10.6 Snow Leopard, he has created the following list of working QuickTime Shortcuts for 10.6. Thanks Austin! Know any other awesome QuickTime tricks? Let us know in the comments! 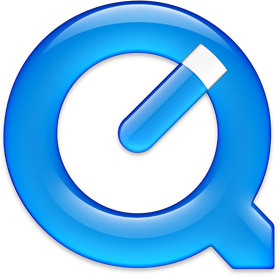 Apple squashes serious bugs in Quicktime code. This would be great if there wasn’t a new version of Quicktime coming out in less than a month with Snow Leopard. I’m currently running OS X 10.6 with Quicktime 10.0, and the keyboard shortcuts have been altered slightly. The biggest change is that the JKL buttons don’t do anything anymore. In fact, there are no keyboard shortcuts involving letters that I am aware of. I’ve taken your list and tried the commands in Quicktime 10.0. Any commands that did not work I’ve removed and I’ve corrected the ones that I knew had an alternative. Is there anyway to change the full screen keyboard shortcut (CMD+F) of Quicktime 7.5 to “Mouse double click”? I am so used to this functionality that I can’t stand this at all. Another keyboard shortcut that I just figured out is if you hold down option & command at the same time while clicking the fast forward button, the movie playback speed will increase by .1 increments rather then 1.0 increments that only holding down the command key does. Is there a way to slow down the video and still be able to hear the audio? I am trying to transcribe a video, and I keep having to stop it. I have Quicktime 10.0 and Snow Leopard. You did not mention the simple arrow keys for frame-by-frame stepping – thi only works in QT 7, and it’s a feature i really miss in QT for snow leopard! Good blog Wow!ij This s exactly what I was looking for! Many thanks for this list of keyboard shortcuts – it all came in very handy when I had to give a video presentation yesterday evening. Same thing here as London Sounds said. This comes in extremely handy for presentations as it takes away a lot of the fumbling around. Thank you. Is their a way to play all the video clips in one folder without having to open each one automatically? Is there a way to change the shortcuts for QuickTime? (e.g. : changing shortcut for ending recording) If so, how do you do it? Use Shift + Enter(return) and the playhead will jump to that frame. This was super handy for me in a recent situation. I recently had to trim the start of some videos for a client, so they could pass it on to their editor with every thing synced up. We had 3 sources, 2 cameras and a .mov file feed from a Powerpoint presentation. All the sources had a different starting time. So I imported all the files into FCPX and made a Multicam clip, synced via the audio track on all the files. So, each file needed to be trimmed to that point. I used the range tool to select everything before the presenter starts on a given track, and used Control + D to get the duration in frames. The original video is trimmed perfectly to that frame. Did the same on each of the other videos & the client has files with the precise starting times. I could have exported them out of FCPX, but that would take more processing time.